A spinoff of comedy "House of Payne," Curtis and Ella Payne (LaVan Davis and Cassi Davis) are trying to enjoy their retirement in Florida only to get roped into a real estate deal that will tumble their lives. Kenni, who has avoided the annual holiday trip to her hometown of Columbia, South Carolina for years. While she is hoping for the best, as with any family, there are unresolved issues lingering that could make the holiday not so bright. For Cora Simmons, living at home as a grown adult has its challenges. Especially when you have Mr. Brown as a daddy. 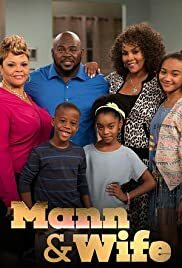 A reality television series starring David Mann and Tamela J. Mann that focuses on their lives and the humorous situations that arises with their children. The series airs on the cable television network TV One. Widower Steve is raising three very different sons, ages 10-16, in Dallas with the help of his mother-in-law Mary. When not at his video store, Steve is interacting with Artis, William, or Andrew, or with his new girlfriend Amelia. The lives of David and Tamela Mann. Stumbled upon this and found the chemistry between the cast really good, helps the main couple are married in real life. Script pops along nicely and Jones are good. But the awful canned laughter and echoing off the sets when the actors talk is strange and does put you off. 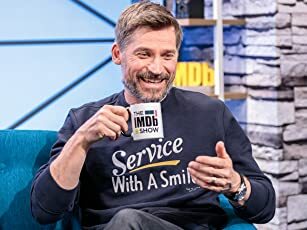 There needs to be an actual audience with occasional bursts from a few people to help those awful silences you'd get from filming on a location. If it's a closed set it needs to change.